The post below originally appeared as two different posts in 2005. Yesterday I was having a conversation with a client and friend. She was asking me my thoughts on different experiences that high end companies provided and what she could learn from them. I pointed her to these posts. After re-reading them I realized how "on point" they still are, and I thought it would be worth sharing again. I've combined the two posts into one. Apologies for the length - but I think you'll like it. The buzzwords (and the book sales) are many. Putting them to work is more difficult. I do not have any problem with the ideas offered by Seth Godin, Tom Peters or the many authors that are writing about delivering a remarkable customer experience. As a matter of fact, their writings have given me tremendous insights that I use everyday. The problem with most efforts to provide amazing experiences is that businesses often forget that it is the customer, not the business, decides what is remarkable and what isn’t. You have to remember, too, that what is remarkable for one company, may not be remarkable for you. The purpose of creating a remarkable experience is to make absolutely certain no one can find a substitute for what your company offers. When there is no substitute for what you offer, you cannot be commoditized. When you cannot be commoditized, then growth, loyal customers and profits are yours for the taking. Want a definition of a remarkable experience? How about, Reading my mind? Really, that’s all your prospects, customers and clients want. They want what they want, the way they want it (preferably, without having to ask for it) – no more, no less. Now let me give you an example of what is not remarkable. Recently, a meeting at Starbucks with a client of mine ran long. We decided to get lunch; and, so as not to break our chain of thought, we went to the restaurant next to Starbucks – Fuddruckers. Mind you, we did not go to Fuddruckers for a ‘fabulous dining experience.’ We went to get a burger and a table so we could continue our conversation. Clearly, this Fuddruckers has undertaken and effectively implemented customer service training. When I placed my order for a hamburger, I communicated that I wanted: cheese, ketchup, lettuce, onions and tomatoes (the way I always get my burgers) and that I did not want fries (my nutritionist would be proud). The order taker then communicated every other option I could have, most of which I did not understand. Placing an order for a hamburger had never been so difficult. Then we went to the table, where a very kind employee introduced himself to us, told us his name and said that if there was anything else we needed, at all, we should speak to him. He asked if that was alright with us, we responded yes, and he closed by asking us if this was a “good deal.” Okay, I thought, a little over the top; but, hey its Fuddruckers, you’ve got appreciate someone who shows that type of energy in their job. Over the course of our lunch he interrupted us six times asking if we needed anything. Unfortunately, what we needed was to be left alone. I’m sure that he was doing what he was taught to do. Be of service. Show energy. Smile. Have fun. He did all of these things. What he didn’t do was give me what I wanted. The Four Seasons, on the other hand, always seems to know what I want before I do. If I want assistance there is someone there ready to give it. If I want to do it myself, they leave me alone. They read my mind, and as a result I pay significantly more for a room than I pay elsewhere. Why? Because the staff there has been trained to respect their customers and treat them as they themselves would expect to be treated under the circumstances. They pay close attention to what their customers are doing at any particular moment and “read” their level of need. That’s how they always seem to be reading my mind. It’s a level of attention for which there is no substitute. I simply can’t find that feeling having someone read my mind anywhere else at any price. Then there’s Fuddruckers. Will I ever eat there again? Sure, as long as it’s the most convenient alternative and the prices stay low. A number of the responses I’ve received made me think the people who wrote feel their companies have always tried to provide a “Four Seasons” type experience. Judging from the tone of their responses, what they meant was that they work to provide a ‘fine, upscale, luxurious’ experience. The point I wanted to make was that one does not need to be ‘upscale’ to be remarkable. 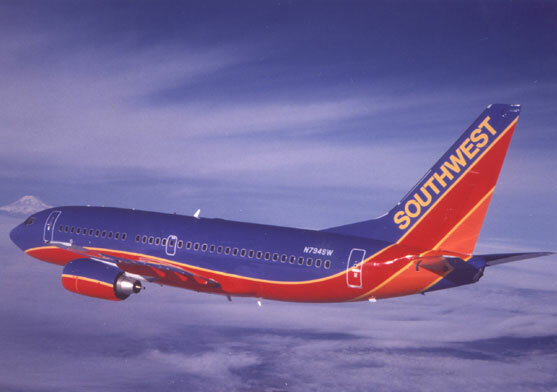 Southwest has always provided a remarkable experience, and no one would confuse Southwest with The Four Seasons. So remember, a ‘fine, upscale, luxurious’ experience is only remarkable if that is actually what your customers want. There's a questionnaire I use with my clients to help them understand and appraise their customer/client experince and I’d be happy to share it with you if you like.